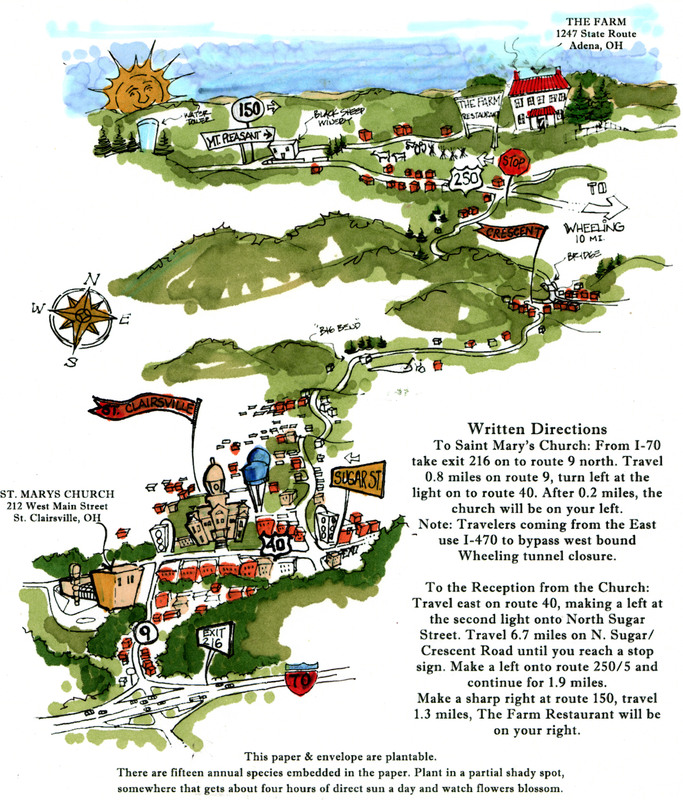 Below are some selected works that display the variety of graphic projects he has completed- from illustrative maps to full park master plans. He focuses on hand sketches to quickly convey thoughts and ideas. The above image was prepared in order to direct our wedding guests from the church to our reception. 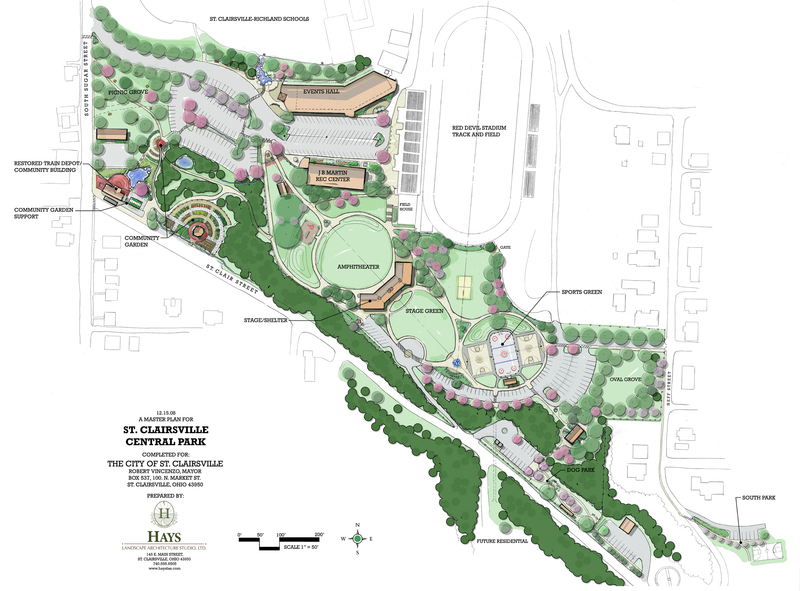 The rendering below is a master plan for a local park. The first two phases – a community garden and amphitheater- have been constructed over the past two years. 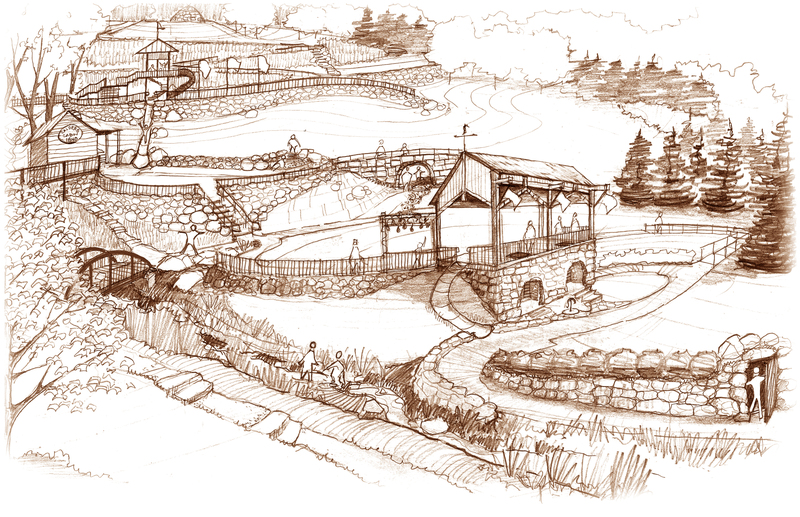 Below is a design concept for a children’s garden in central Ohio. A meandering path allows children of all abilities to traverse the hillside while learning about the daily lifestyles of pioneers and Native Americans. 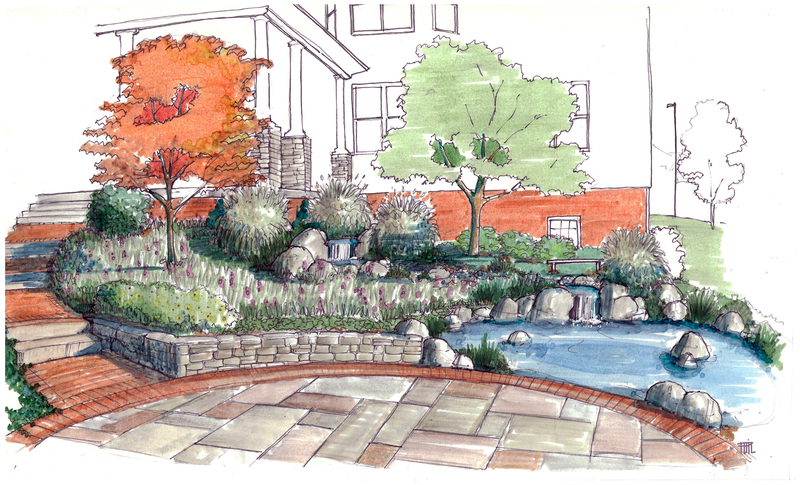 A quick vision of a residential landscape. Below illustrates an ADA accessible walkway concept at an Ohio State Park.